Blessing of Wisdom is a 1 Mana Cost Common Paladin Spell card from the Classic set! Choose a minion. Whenever it attacks, draw a card. 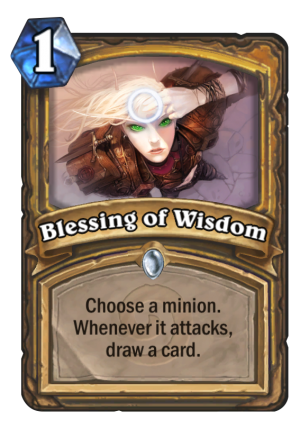 Apparently with wisdom comes the knowledge that you should probably be attacking every turn.